Dr. Bisher Akil is a well-known pulmonologist in Los Angeles, California. He received the medical diploma from Damascus University Faculty of Medicine in 1979. After getting his medical degree, he went to Wayne State University School of Medicine for doing an internship in internal medicine. He completed his medical education with a residency in internal medicine at Tulane University and a fellowship in pulmonary disease and critical care medicine, both completed at the University of Southern California - LAC+USC Medical Center. He is licensed to practice medicine in California and New York, until 2017. 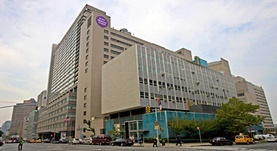 He is affiliated with NYU Langone Medical Center and Cedars-Sinai Medical Center.